What the secret ballot does is slow things down and makes it impossible to take spontaneous official action as a response to something immediate. What tends to happen then with our members is that they walk out unofficially. We are required as a Union to formally repudiate this action, which we always do but no-one has ever taken any notice of this. The problem with strike ballots is the law that surrounds them and the way judges interpret this. Recently both we and Unite have run into trouble with the law concerning the information you have to provide to the employer on who is going on strike. This has become ever more onerous and now requires us not just to provide names but grades and details of workplace. With the best will in the world, this is impossible to get exactly right but judges are becoming less tolerant about errors in the face of injunctions from the employer. In summary, therefore, it’s not the secret ballot itself that’s the major issue. Most members would probably resist any move to take it away now. It’s the rules surrounding its application and who is in charge of drawing them up. If it’s the Union itself, then no problem. If it’s the state or the courts then they will certainly be designed to make striking more difficult. Unite union in Britain (not connected with Unite in NZ) is currently in dispute with British Airways over the employer’s plans to cut 1,700 jobs, impose a two-year wage freeze and get cabin crew working longer for less. When union members were balloted in December for a planned 12 day strike over Christmas, they supported strike action by 92% on an 80% turnout. BA then used the High Court to have the strike ruled illegal on the basis of a spurious technicality relating to the balloting process. Unfortunately, not all workers have the same level of confidence as the posties, who often defy such decisions. 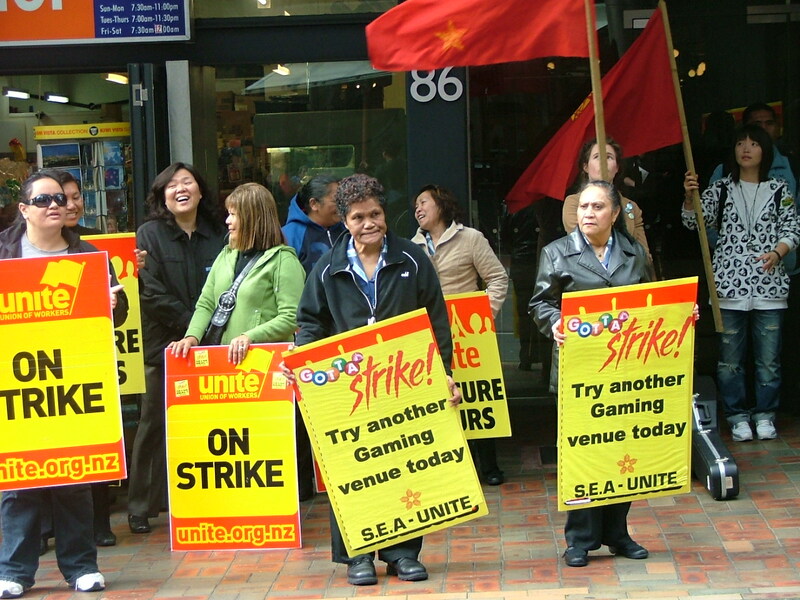 The Unite action was suspended while a second strike ballot was taken. The new result was still impressive, although unsurprisingly the loss of momentum meant that the “yes” vote dropped by around 10%. This brief look at the situation in Britain indicates that the CTU has been very complacent by endorsing Henare’s bill. Even if the bill does reflect the current status quo, it is far better that the law remains silent on the matter (as it is now), than give the employers an opportunity to challenge strike ballots through the courts. The CTU also ignores an important point of workingclass principle; unions are workers organisations and should be run by workers from top to bottom. The form of union processes should be a democratic decision for union members, not National party hacks. We need a movement willing and capable of launching a militant campaign for positive workers’ rights, including the unrestricted right to strike. The CTU has proven once again that it has no intention of leading such a movement.